While millions of Americans were enjoying a warm spring weekend, Facebook employees were hard at work responding to an avalanche of news about their company. After an already busy week for the social media platform—including a lawsuit from the Department of Housing and Urban Development, as well as a policy change regarding white nationalist and separationist content—five major Facebook stories broke over the last few days, including a Washington Post op-ed in which CEO Mark Zuckerberg calls for the social network to be regulated. Here’s what you need to know to get caught up. The torrent of Facebook news began Friday, when COO Sheryl Sandberg said the company was “exploring restrictions on who can go Live depending on factors such as prior Community Standard violations.” The decision came less than three weeks after a terrorist attack in Christchurch, New Zealand, that killed 50 people was livestreamed on Facebook. The social network, as well as other companies like YouTube, struggled to stop the shooter’s video from being reuploaded and redistributed on their platforms. In 2016, Zuckerberg said that live video would “create new opportunities for people to come together.” Around the same time, the company invested millions of dollars to encourage publishers like Buzzfeed to experiment with Facebook Live. The feature provided an unedited, real-time window into events like police shootings, but it was also repeatedly used to broadcast disturbing events. After the Christchurch attack, Facebook is now reexamining who should have the ability to share live video, which has proven difficult for the company to moderate effectively. Sandberg also said Facebook will research building better technology to “quickly identify edited versions of violent videos and images and prevent people from re-sharing these versions.” She added that Facebook had identified over 900 different variations of the Christchurch shooter’s original livestream. Sandberg made her announcement in a blog post published not to the Facebook Newsroom but to Instagram’s Info Center, indicating Facebook wants its subsidiaries to appear more unified. Also on Friday, Business Insider reported that years of Zuckerberg’s public writings had mysteriously disappeared, “obscuring details about core moments in Facebook’s history.” The missing trove included everything the CEO wrote in 2007 and 2008, as well as more recent announcements, like the blog post Zuckerberg penned in 2012 when Facebook acquired Instagram. Facebook said that the posts were mistakenly deleted as the result of technical errors. “The work required to restore them would have been extensive and not guaranteed, so we didn’t do it,” a spokesperson for the company told Business Insider. They added that they didn’t know exactly how many posts were lost in total. This isn’t the first time Zuckerberg’s content has gone missing from Facebook. Last April, TechCrunch reported that some of the CEO’s messages were erased from people’s private inboxes. (Facebook later extended an “unsend” feature to all Facebook Messenger users.) And in 2016, “around 10” Zuckerberg blog posts also disappeared from the social network. The deletion was similarly blamed on a technical error, but in that case the blogs were later restored. In an interview with WIRED last month, Zuckerberg said, “There are some really nuanced questions … about how to regulate, which I think are extremely interesting intellectually.” On Saturday, the Facebook CEO expanded on that idea in an opinion piece published in The Washington Post. “I believe we need a more active role for governments and regulators,” Zuckerberg wrote, calling for new regulation in four particular areas: harmful content, election integrity, privacy, and data portability. Zuckerberg also said the rest of the world should adopt comprehensive privacy legislation similar to the European Union’s General Data Protection Regulation that went into effect last year. There’s currently no modern privacy law in the United States, though California passed a strong privacy bill last summer, which Facebook originally opposed. Now a number of lawmakers, and lobbyists, are jockeying to get a federal privacy law in place before the state-level rules take effect next year. The op-ed arrives as Facebook faces a looming Federal Trade Commission investigation over alleged privacy violations. Lawmakers on both sides of the aisle have also recently expressed an interest in regulating or even breaking up the social media giant. Zuckerberg’s op-ed provides a sketch of the kind of regulation that his company would be comfortable adopting. Some critics have also argued that legislation like GDPR can strengthen the dominant position of companies like Facebook and Google. But on Sunday evening, Facebook quietly announced that it will begin revealing more about why users see one post over another when they scroll through their feeds. The company will soon launch a “Why am I seeing this post?” button, similar to the one it launched in 2014 for advertisements. It will begin rolling out this week and will be available for all Facebook users by the middle of May, according to Buzzfeed. Facebook is also making updates to its preexisting “Why am I seeing this ad?” button. It will now tell users when an advertiser has uploaded their contact information to Facebook. In addition, it will show users when advertisers work with third-party marketing firms. For example, an ad for a shoe company might reveal the name of the marketing agency it hired to sell its new sandals. On Monday morning, Zuckerberg suggested he might create a new section of Facebook dedicated to “high-quality news.” Details are scarce, but it may feature content Facebook pays publishers directly to share. The remarks were made during an interview Zuckerberg did with European media executive Mathias Döpfner, which the CEO posted to his personal Facebook page. The announcement comes a year after Facebook said it would begin deprioritizing news stories in its News Feed in favor of content from friends and family. Last week, Apple announced it was launching a $10 per month paid news aggregation service called News+ (it features content from WIRED). But unlike Apple, Facebook doesn’t appear to be getting into the subscription business. “We’re coming to this from a very different perspective than I think some of the other players in the space who view news as a way that they want to maximize their revenue. 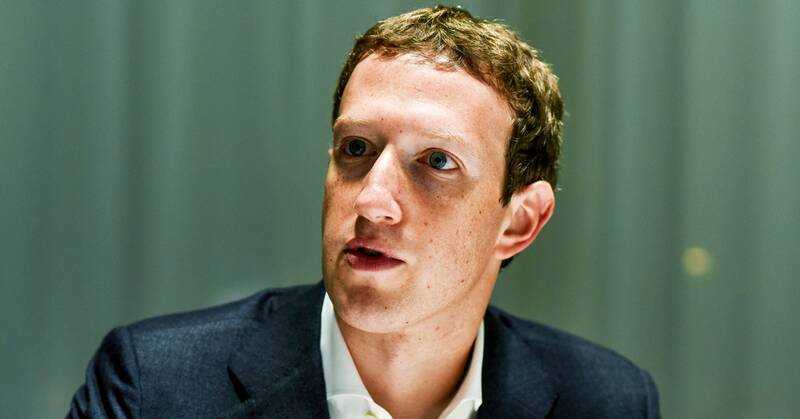 That’s not necessarily the way that we’re thinking about this,” Zuckerberg said in the interview. Facebook’s earlier attempts to partner with media organizations have been a mixed bag. The social network also previously explored creating a dedicated feed for publishers but abandoned the project. Without knowing more, it remains to be seen what, if anything, is going be different this time.